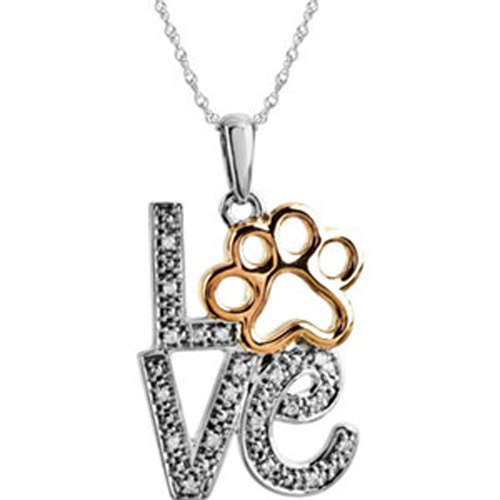 Desc: Sterling Silver Diamond Love Paw Print Necklace. The Sterling Silver chain is a cable link and has a spring ring clasp. The pendant spells out the word "Love" with diamonds prong set along the length. A Tender Voices gold animal paw print is mounted to the right of the word "Love". The necklace has a bright polish finish.